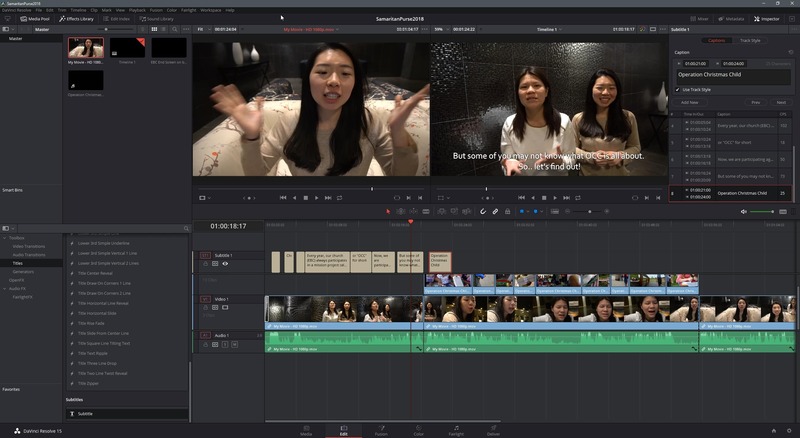 DaVinci Resolve Studio 15 Review – I’d been using Adobe Premiere Pro for about a decade, if not more. While I don’t do professional video editing, I’m quite involved in shooting and editing short videos here and there for church events, advertisements, short interviews for weddings, and such. 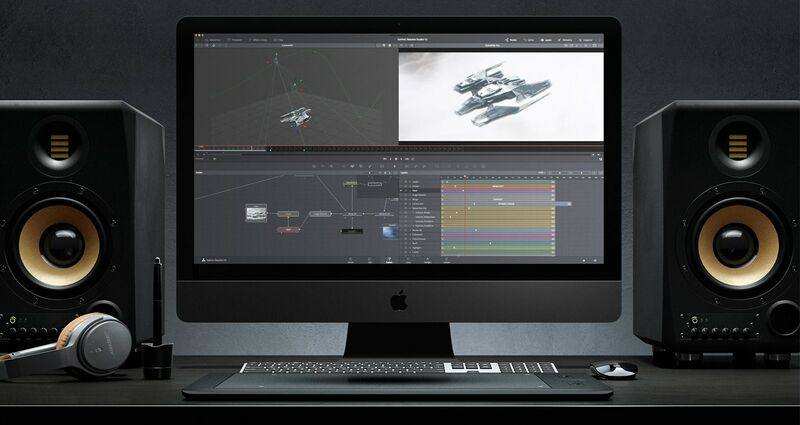 I’ve been hearing about Blackmagic DaVinci Resolve Studio for a while, especially because it has a free, yet powerful-enough version (DaVinci Resolve) for those who can’t afford paying Adobe CC monthly subscription. So when I had the chance to grab a review copy of the DaVinci Resolve Studio 15 (the Pro version), I didn’t hold back. The scariest thing to move from one software to the next is familiarity, especially when you have used the same software over and over for so many years. Thankfully, it didn’t take me long to familiarise myself with the DaVinci Resolve Studio 15 interface and how the features work together. 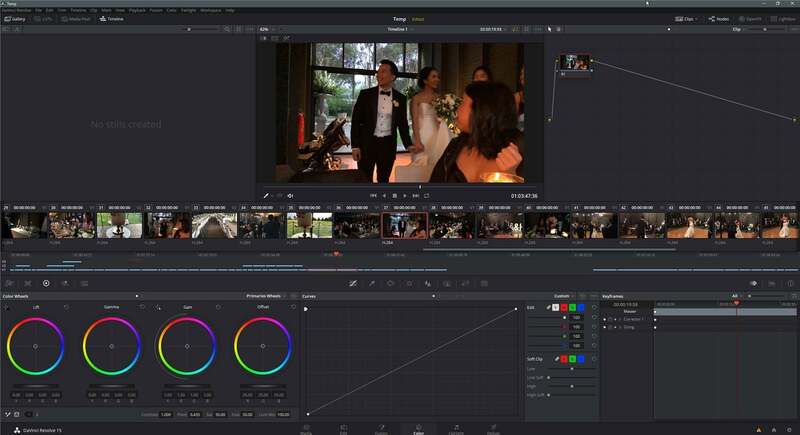 Unlike Adobe Premiere Pro, DaVinci Resolve Studio 15 is much more powerful as a software suite as it contains everything you want in a single package. For example, I usually had to use Adobe Audition to edit audio clips while editing videos in Adobe Premiere Pro or use Adobe After Effects if I wanted to do some funky animations and effects in the clips. While these work quite well together, the experience itself is not really that seamless because you have to jump from one software to the next. However, DaVinci Resolve Studio 15 has all these within the same software (Fusion is for audio editing and Fairlight is for the advanced effects and animations) and the experience is very smooth and seamless. It doesn’t feel disjointed and everything works well together (and fast). Getting the media files into the project is as easy as dragging and dropping, and this goes the same to applying effects to the clips. Video and audio clips are clearly defined and I love how great the performance is overall. Everything is smooth and responsive. In fact, much more responsive than running Adobe Premiere Pro on the same PC. Speaking of subtitles, I really love the Subtitling feature in DaVinci Resolve Studio 15. Previously, I had to add text objects manually one by one to my timeline in Adobe Premiere Pro (or use copy paste to apply the same styling to all subtitles). If I had to change a font style, I’d have to change them manually. There might be a faster way than that but I wasn’t aware of it at least. I remember having to use Adobe Encore (again, a different software) for bigger movie production subtitling, but that was long ago. Adding Subtitles has always been the most tedious process for me but thanks to this, I can save so much time and the process is no longer an annoyance. There’s a dedicated Publishing section to export or publish your work with presets options, but you can also customise them. I found it trickier to convert my project’s audio to Mono but I do like the option where I can choose to “burn” my subtitles into the video or in a separate subtitle file format like SRT. 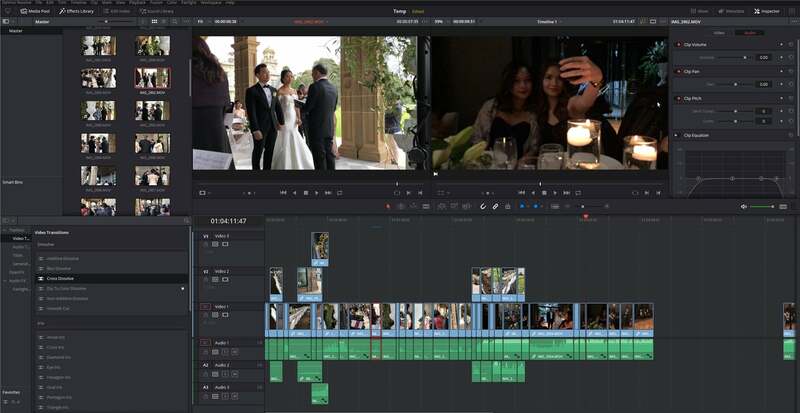 For more advanced editing (i.e for professional editors and videographers), DaVinci Resolve Studio 15 does not fall short. It has multicam editing support, curved keyframes manipulation directly below the video clip, colour grading, camera tracking, and the 2 advanced modules: Fusion and Fairlight. “Fusion gives you the power to create photorealistic visual effects, stunning motion graphics and incredible title sequences that completely immerse your audience”. You can think of it as Adobe After Effects being built into Adobe Premiere Pro (rather than as a separate package). Switching between the editing and Fusion feels seamless, thanks to the tight integration. 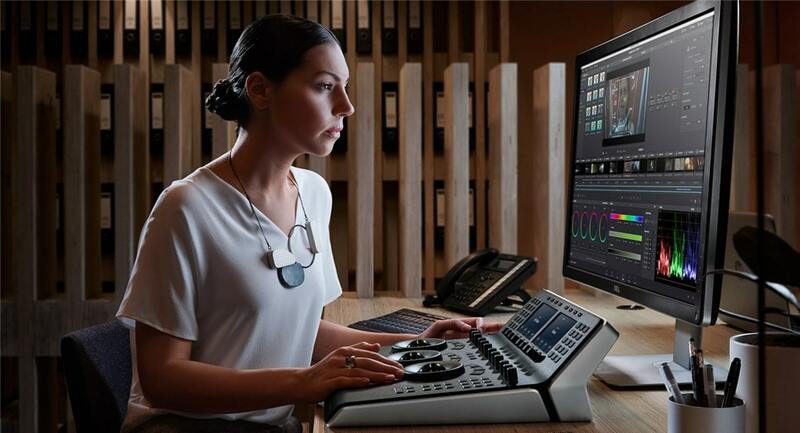 DaVinci Resolve Studio 15 is super fast and smooth, plus it has all the advanced video and audio editing features integrated seamlessly into one product. It definitely caters for both beginners and professionals. There is a free version for you to use and try out, and I know some friends who have been using the free version and it’s good enough to cater for basic video editing needs (better than iMovie and Windows Movie Maker). You should give that a try. 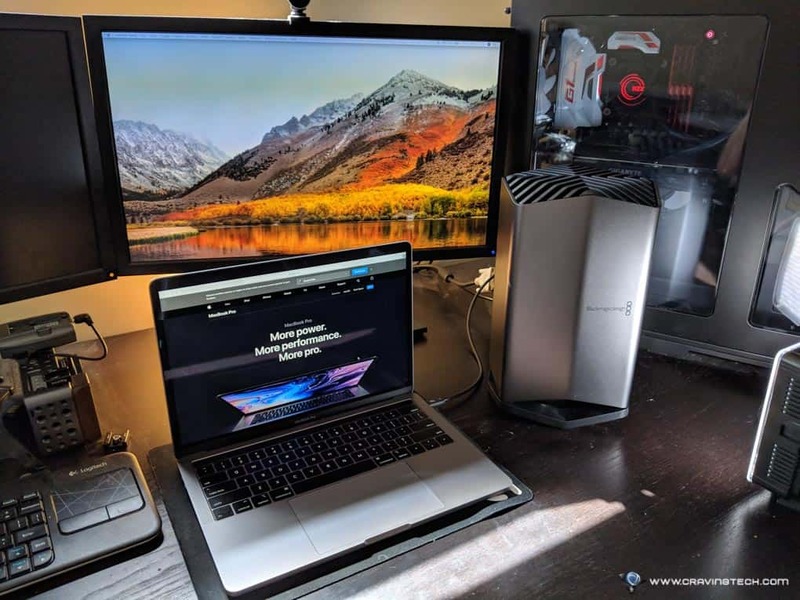 And if you are on a MacBook Pro and would love an additional horsepower for video editing needs, make sure to have a look at our coverage on the MacBook Pro with a BlackMagic Design eGPU!